Jaded Blossom: Good to the last bite! Happy Monday. It's Barb from BugBites. Can you believe it is the last Monday in September already. Today I have a fun treat bag all decked out for Halloween. I don't always have time to make a treat box from start to finish so finding treats already packaged in the holiday colors make it a snap. 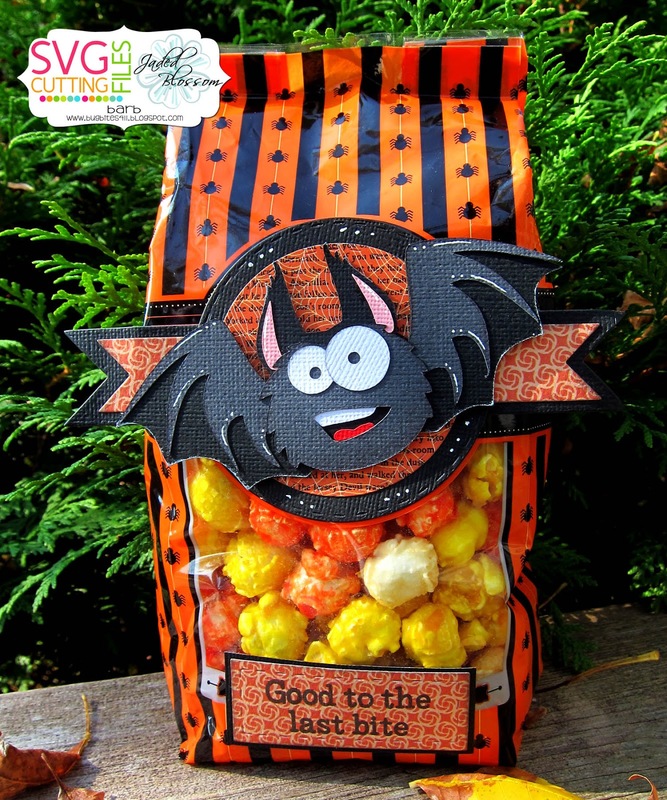 This treat bag is a simple bag of colored popcorn for Halloween. To dress it up I got out some of my Jaded Blossom dies and stamps and quickly I had a super cute treat bag without all the hassle. Had to tell you again love this! !